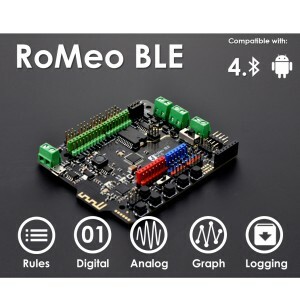 Romeo is an All-in-One Arduino compatible microcontroller especially designed for robotics applications from DFRobot. It benefits from the Arduino open source platform, it is supported by thousands of open source codes, and can easily be expanded with your Arduino-comaptible shields. 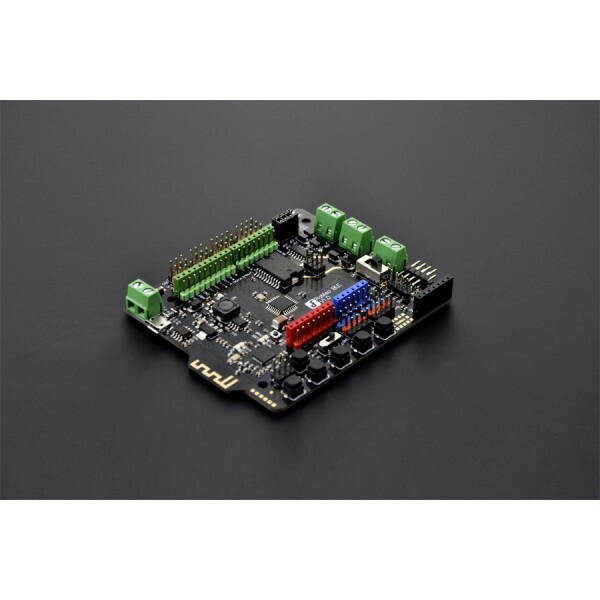 The integrated 2 way DC motor driver and wireless socket allows you to start your project immediatly without the need for an additional motor driver. 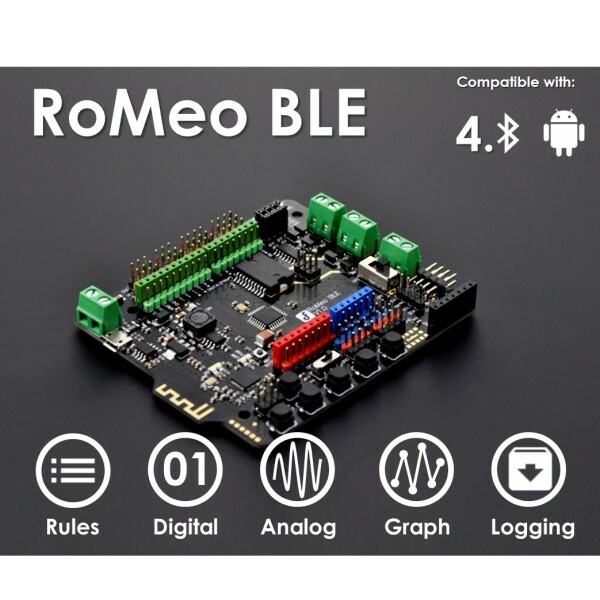 This RoMeo BLE controller inherits all functions of Romeo all-in-one controller, on the basis of which it integrates Bluetooth 4.0 wireless communication function. 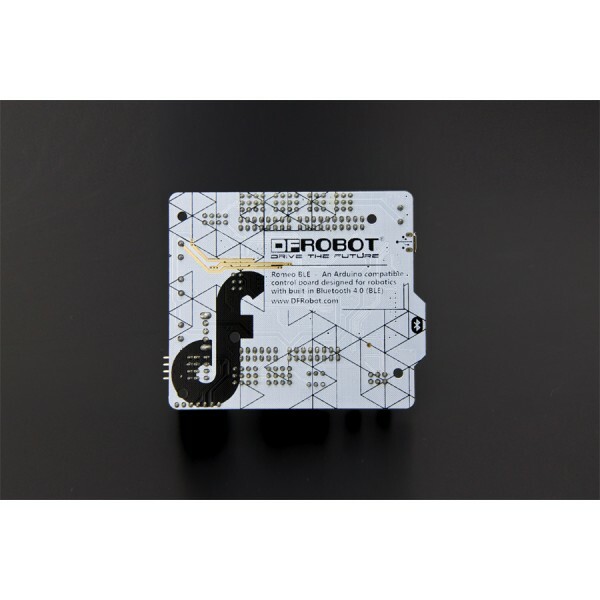 You can describe it as a control board specially designed for robot applications, carrying the gene of Bluetooth 4.0 and being compatible with Arduino.